When selecting a grant management solution, the budget sections in returned request for proposals (RFPs) often cannot be compared apples to apples, as vendor pricing models vary. It’s up to you to understand what exactly is included in each vendor’s scope estimate and properly evaluate costs accordingly. The below can help you analyze vendors against your needs and desired budget. Most budget requests ask vendors to outline key expenses for the software itself, add-on features, support, implementation and customization. What features are included out of the box in the grant software? Where do differences exist in vendor offerings compared to initial system costs? How much does each add-on feature cost? How is custom development priced (by feature, hourly, etc.)? What is the breakdown of one-time implementation and ongoing expenses? How often is support provided, and at what level? If additional support is needed, is there a fee? Is training included in the budget, and at what level? What are the options and pricing for additional training? What additional costs may arise as you scale the system over time (e.g. added costs for new users, reports, licenses, etc.)? How many internal and external licenses are included with the software? Is there an ongoing subscription fee? Is maintenance included in the pricing package? The above will help you better evaluate what is included in each scope estimate and how much you are looking at for additional services and products. Setup costs. The initial cost to build each individual feature (reports, workflows, forms, applications, etc.) may be higher due to customization. Implementation timeline. Custom solutions may take longer to implement, sometimes up to two years, meaning you won’t see a return on your investment (ROI) as quickly. Software maintenance fees. Regular software updates may not be supported with custom solutions, causing additional costs for specific maintenance services. Support options. Since the solution is custom, it may take additional support to keep the system updated and compliant ongoing. Often with a customized solution, it is more difficult to scope core areas, opening the door for higher expected costs over time, as unforeseen fees compile. One-time fees. This would be an upfront fee paid at the time of purchase for setup, configuration, training and implementation management. Pro tip: The higher the fee, the larger the implementation and longer it will take to get up and running. Additionally, this indicates a more custom solution, as opposed to a configured solution, which can lead to a greater need for recurring maintenance fees over the course of your agreement. Prohibitive usage limitations. Look for restrictive language that prohibits certain users from accessing the system a specified number of times per month or quarter. This can diminish adoption, and manifest itself with unexpected added costs. Usage limits are more common in user-based pricing models. Post-setup fees. This refers to ongoing services after initial implementation. For example, when you roll out your grant applications in year two, does the system require the help of the software provider? Pro tip: Be wary of fees associated with setup and maintenance of existing software elements as these can add up significantly over time. Vendors may also have tiered pricing based on number of active users, your annual grant revenue or a variety of other factors that could impact the renewal cost as your needs evolve. Be sure to balance both short-term and long-term benefits of each package offered, as some options grow more favorable over the duration of time. Note, too, that some pricing models may be more advantageous based on when and how your internal budgets are set. Sharing your own budget request and approval timelines with vendors pre-RFP can help them best structure their agreement to align with your internal budgeting cycles. How do you evaluate grant software budget proposals? Share your thoughts with us in the comments below. 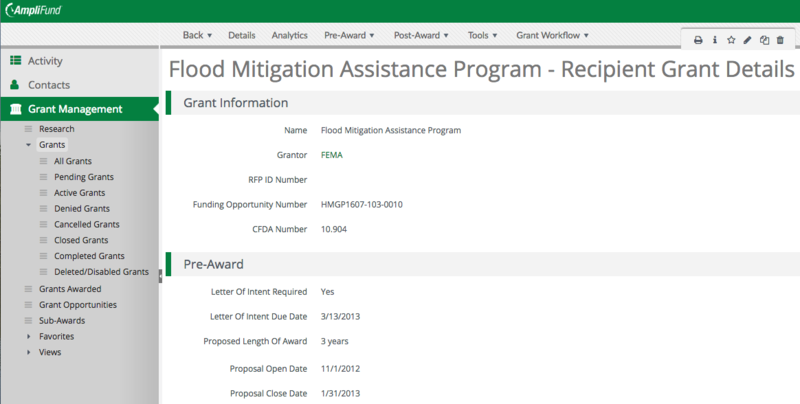 Interested in learning more about grant software budget proposals? Download our customizable RFP template today.